In recent years vertical or speed jigging, as it is more widely known around the world, has evolved. 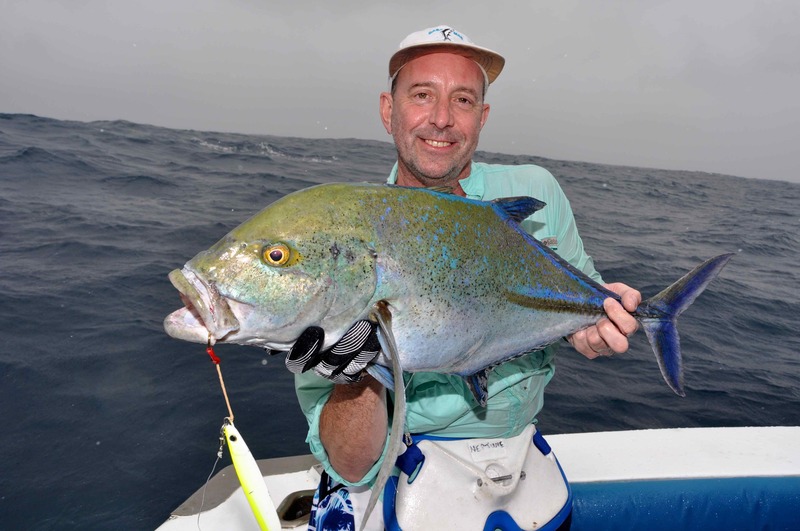 Fuelled by massive advances in tackle development, notably ultra thin, super strong non-stretch lines, high speed reels with a level of engineering vastly superior to anything previously seen and light, thin and unbelievably powerful rods that are an absolute joy to use, ‘vertical jigging’ is one of the fastest growing areas of saltwater sport angling in the tropical oceans of the world today. 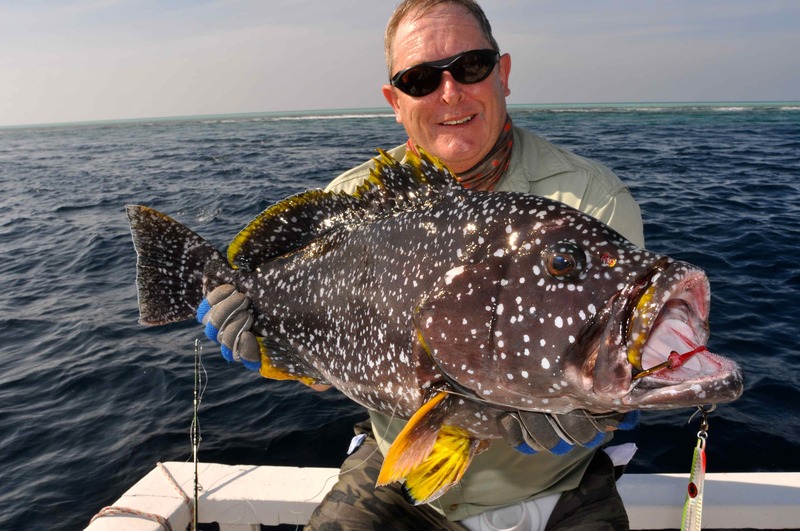 In the tropics target species typically include powerful, fast swimming opponents such as giant trevally, yellowfin and dogtooth tuna, massively huge snappers and groupers, wahoo, amberjacks and a plethora of other pelagic and bottom species that have even included billfish. 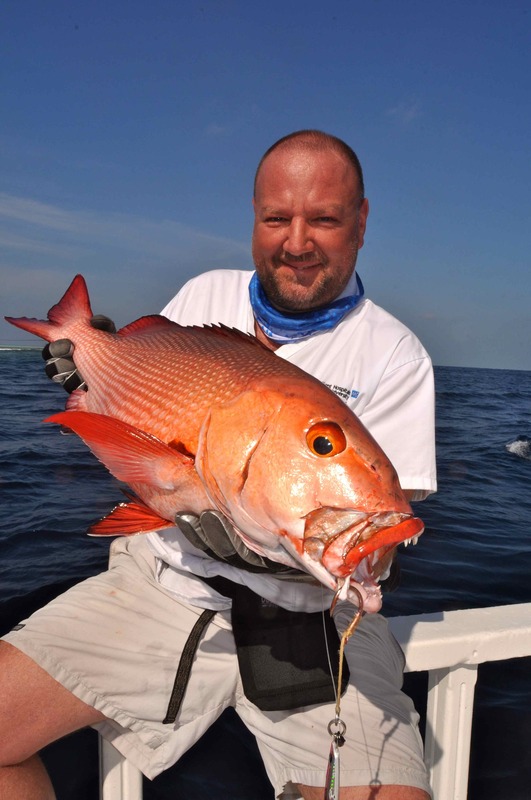 Truly this is an exciting, hands on, and extremely active form of sport fishing that is guaranteed to set the heart racing. As with popping you’ll need suitable tackle, notably a well engineered reel, multiplier or fixed spool, with a high-speed retrieve; at least 6:1 if you use a multiplier. Again the Shimano Stella range are a hugely popular choice for jigging with anglers who favour a fixed spool, while the Shimano Trinidad, Torsa and Torium are the perfect choice if you use a multiplier. An increasing number of manufacturers are producing excellent jigging rods, which range from surprisingly inexpensive models such as the Shimano Speed Master and Beast Master range up to truly gorgeous, ultra light/ultra powerful rods such as the Shimano JigWrex and Blue Rose range. Of course you’ll need to use a quality braid, with Power Pro 80lbBS being the most popular. In addition you’ll need some heavy 100-200lbBS leader material, either monofilament or fluorocarbon. Purpose made speed jigs rigged with single assist hooks such as Shimano Butterfly and Williamson jigs will complete your terminal gear. Finally, before your trip learn how to tie a few super strong knots such as the Albright, Spider Hitch and the Bimini Twist. If you do not have 100% confidence in your knot tying ability be sure to ask your guide or a member of the crew to help you as regardless of whether you are popping or jigging, in this game there is absolutely no margin for error. 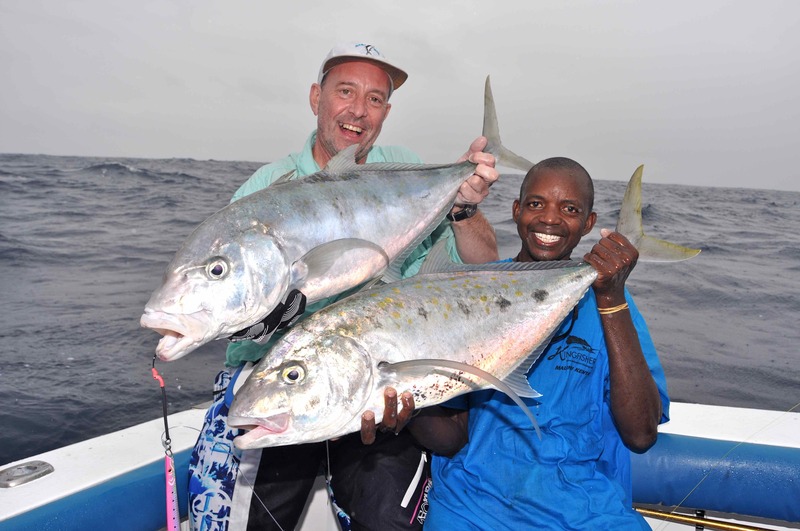 Due to the remoteness of most tropical fishing destinations it needs to be emphasised that the option of being able to stock up on items of tackle locally is a rarity. 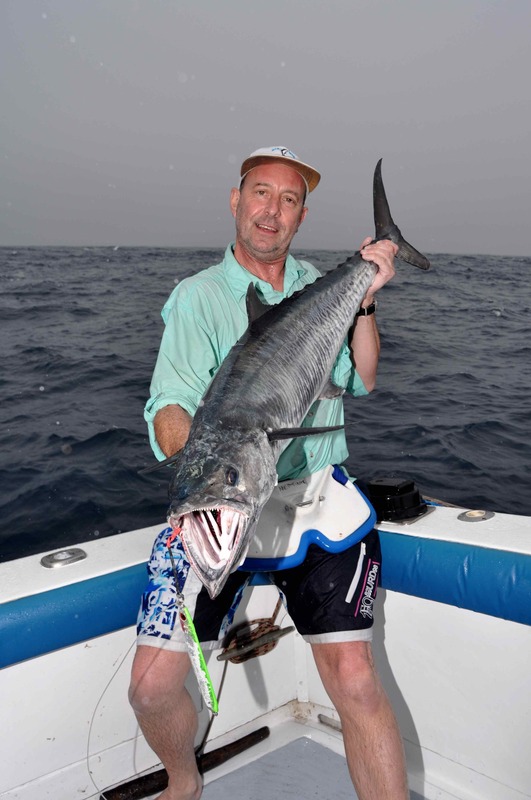 Consequently we advise all of our clients to follow our tackle recommendations carefully. 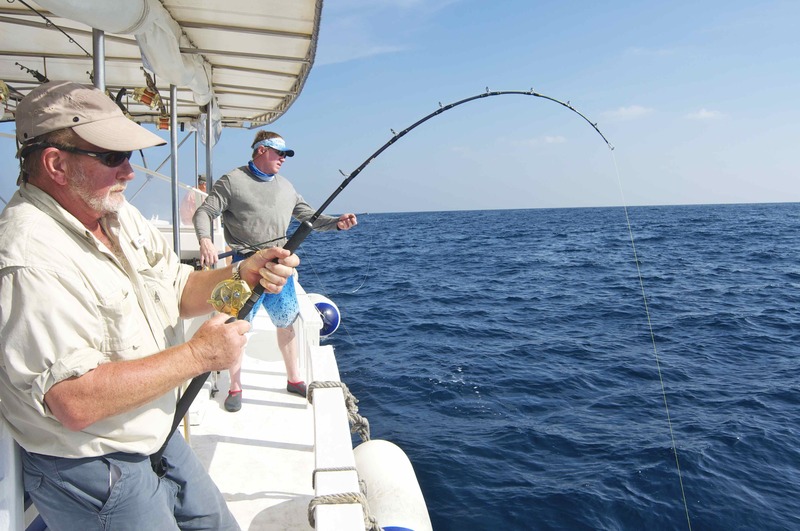 If you have any questions concerning any of our destinations, tackle requirements or the various techniques used at specific destinations, contact Anglers World Holidays directly.